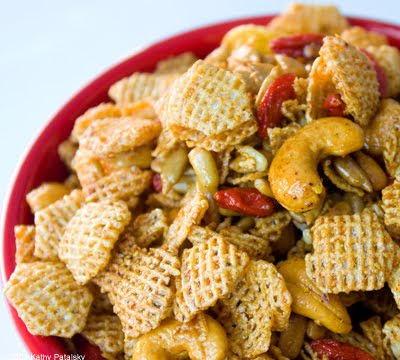 "Better" Party Mix. Same Look, Better Ingredients. 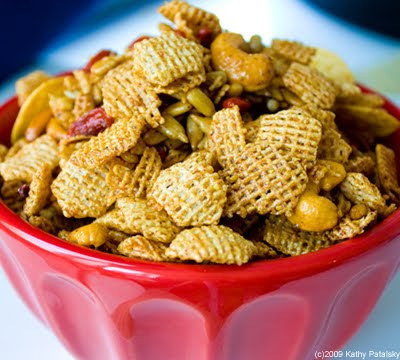 Comparing Cereals: Chex vs. Heritage Bites. Same shape. 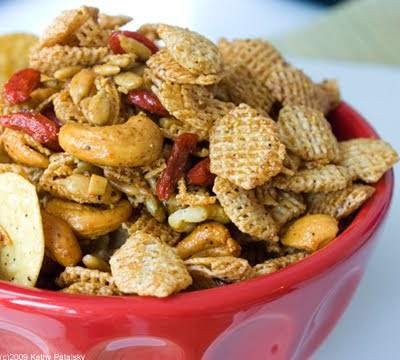 Same crunch. Different ingredients. OK, to be blunt, there a lot of cereal options out there that are much worse off (nutrition wise) than General Mills Chex. 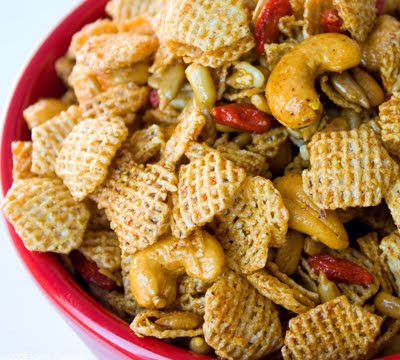 Actually the Wheat Chex cereal isn't all half bad with 5 grams of fiber per serving, made from whole grains. But why stop with whole wheat grains when there are a plethora of other grains available today. 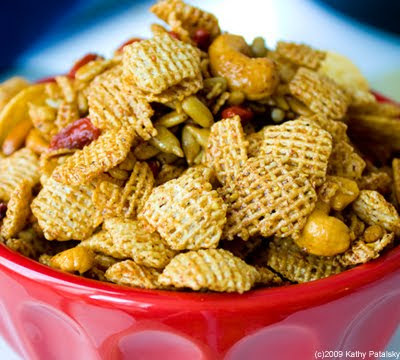 That's why it's clear to see how Nature's Path Heritage Bites are a better option when it comes to a crunchy hexagon shaped cereal. 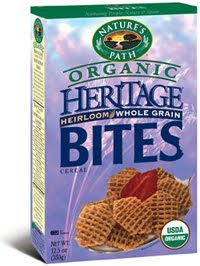 Heritage bites contain buckwheat, quinoa, amaranth, millet, kamut and spelt. Talk about a multitude of super grains! Plus it is sweetened with organic evaporated cane sugar instead of basic sugar. And Heritage Bites are organic. 2. Melt buttery spread, maple syrup, and olive oil in a small cup by microwaving for ten seconds. Stir in all the spices and soy sauce. 3. Pour spice/liquid mix slowly over cereal mixture. Toss very well. 4. Sprinkle flax seed meal over mix and toss well. 5. Serve OR for extra crispness I highly suggest toasting mixture in the oven at 400 degrees for ten minutes. Store in a large bowl in the fridge or in individual snack baggies. Eat cold or toast and serve.